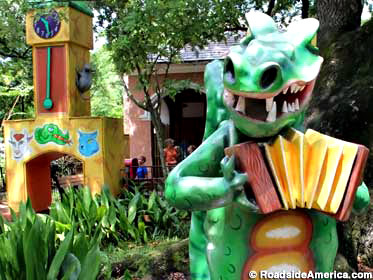 Visiting New Orleans with kids may be one of the best vacations you’ll ever take … and here’s why! Beignets. Treat your family to a New Orleans culinary staple (and this town’s guilty pleasure) at Café du Monde, an open-air French Cafe in the French Quarter. A local institution since 1862, this establishment is especially revered for its beignets (pronounced ben-yay), light-as-air squares of fried dough dusted with confectioner’s sugar, perfectly paired with chicory coffee. You’ll likely want to make a stop here for breakfast or an afternoon snack. Horse and carriage rides. 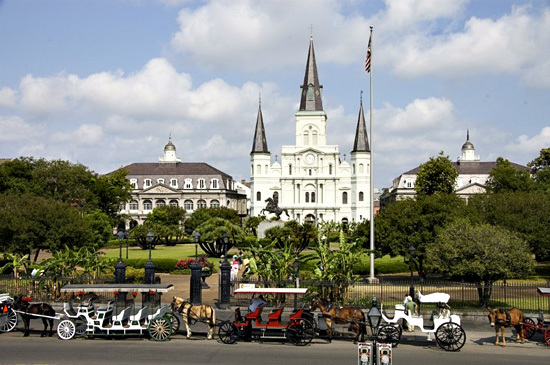 Horse-drawn carriages line up across the street from Café du Monde in front of St. Louis Cathedral–you simply walk up and hop in. No reservations are needed! A fun way to see the city, you’ll be indulged with tons of interesting historical tidbits along the way. Or why not take a ride on a streetcar? Kids get a kick out of the wooden electric cars that have been clickety-clacking since 1923. We recommend taking the Riverfront line, which travels a two-mile route along the Mississippi River, making stops at the French Quarter, the French Market, Jackson Brewery, Canal Place, the World Trade Center, the Riverwalk, the Hilton Hotel, and the New Orleans Convention Center. Jackson Square. Check out the action at the square, the quintessential New Orleans landmark with its smorgasbord of street performers, tarot readers, musicians, and artists selling their works. 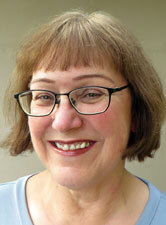 Maybe even get a caricature done of the kids for a fun keepsake. St. Louis Cathedral. Facing Jackson Square, St. Louis Cathedral is one of the most recognizable structures in the French Quarter. It has been seen in hundreds of movies and TV shows, and it is a local and international architectural icon. The Steamboat Natchez. Ride down the Mississippi River on an authentic steamboat whose two-hour harbor cruise includes an onboard Calliope concert. You can opt for the lunch or dinner jazz cruise for an added treat. The Audubon Zoo. While you’re in New Orleans don’t miss the chance to check out more than 1,300 creatures, including a Malayan Sun Bear and a family of rare white alligators, at this wonderful zoo. Little kids will love touring the zoo aboard the Swamp Train. 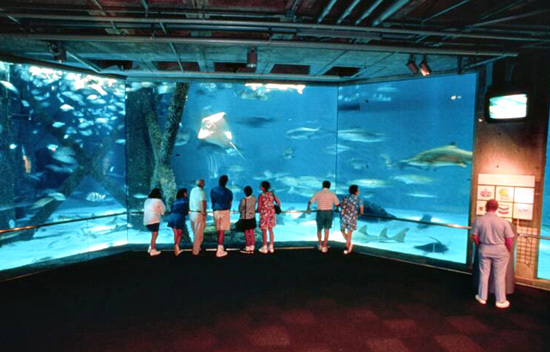 Both the Aquarium and Insectarium are also worth the visit while you’re there. Maybe if it’s really hot you might want to bring your bathing suits and head to the Cool Zoo, a mini water park within the zoo. Louisiana Children’s Museum. At this 30,000-square-foot interactive wonderland kids can have fun with over 100 hands-on exhibits and spaces for imaginative and creative play. Mardi Gras World. You can see Mardi Gras floats being designed and built inside this giant warehouse. Thousands of parade props, ornate costumes, and giant floats are on view, including a 140-foot sea monster and a 240-foot riverboat. Swamp tour. This touristy attraction is a great way to experience Louisiana’s wetlands and see native wildlife, including its renowned alligator population. Above-ground Cemeteries. These cemeteries, once known as “cities of the dead,” were laid out like mini-cities, with parallel streets running between the rows of lavish ground vaults and intricately-carved stone tombs. Due to its large area, the best way to explore is with a guided cemetery tour. Preservation Hall. At this kid-friendly jazz venue, the motto is “No smoking, drinking. All ages.” Located three blocks from the Mississippi, this French Quarter hot spot is a great place to hear veteran musicians play New Orleans Jazz. Audubon Aquarium of the Americas. This top-notch aquarium showcases four major sealife habitats—the Amazon, the Caribbean, the Mississippi River, and the Gulf Coast. Enter the Caribbean Reef through a clear, plexiglass tunnel, as jumbo stingrays and sharks swim overhead and all around. Storyland. In this 1,300-acre City Park, 26 beloved children’s books come alive with life-size figures sculpted by this city’s top Mardi Gras float makers. Secret nooks, whimsical doors, and maze-like passageways make for added fun.